Bellanico Restaurant & Wine Bar saves some tables for walk-ins, please call Bellanico directly for large party reservations. Bellanico is a continuation of Chris Shepherd & Elizabeth Frumusa’s successful restaurant in San Francisco, Aperto in Potrero Hill. 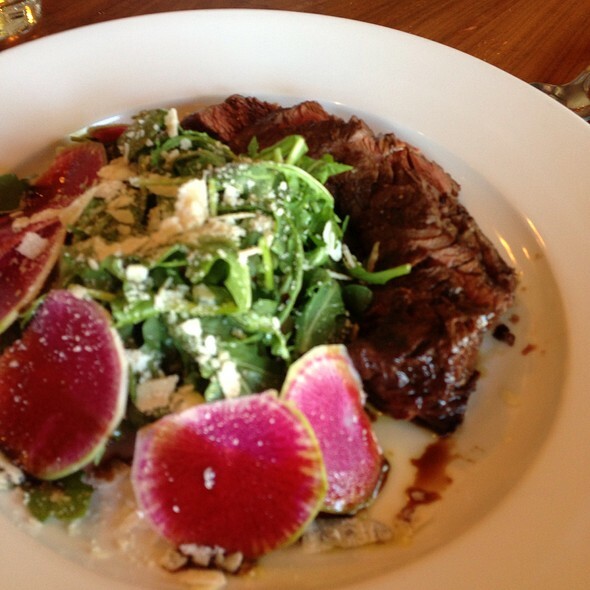 Bellanico is a neighborhood restaurant located in the Glenview district of Oakland. The name Bellanico is derived from their daughters’ nicknames, Bella & Nico. The Bellanico staff take great pride in food, service and wine. 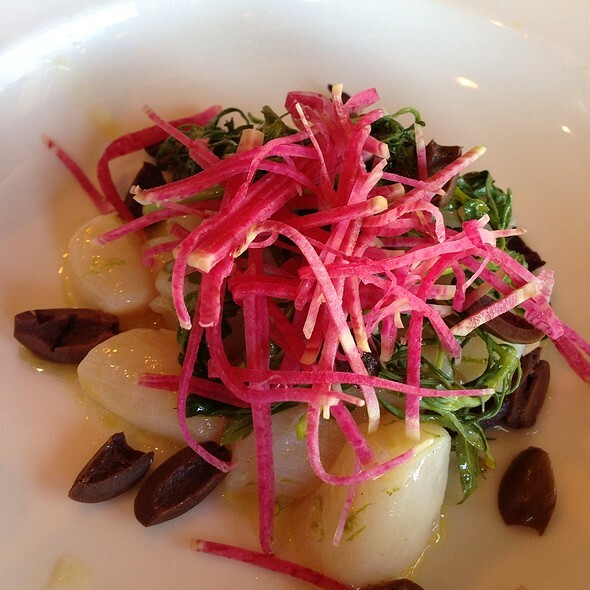 We serve rustic Italian cuisine that changes seasonally. We are dedicated to serving the best seasonal, local, sustainable and organic products that they can find. 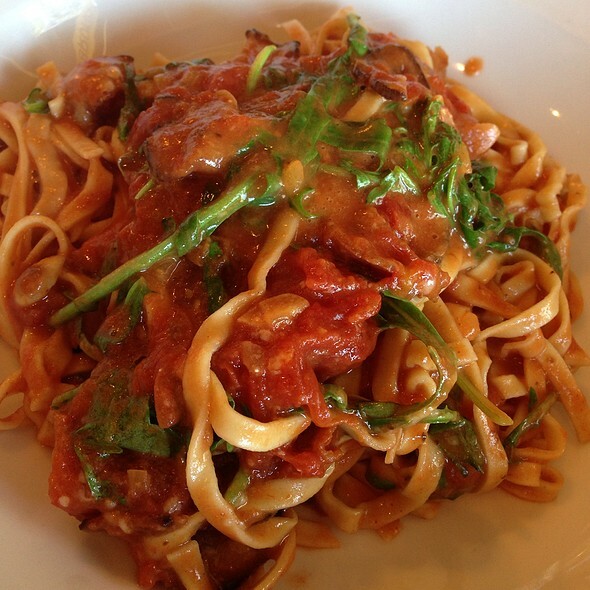 Bellanico features Pitman Farms Chicken, Prather Ranch Meat, Duroc Pork and only wild caught fish and seafood. It also features a wine bar offering Old World wines with an emphasis on Italian wines. There are more than 25 wines by the glass & 6 different flights of wine. Come and celebrate your special Mom(s) with us!! 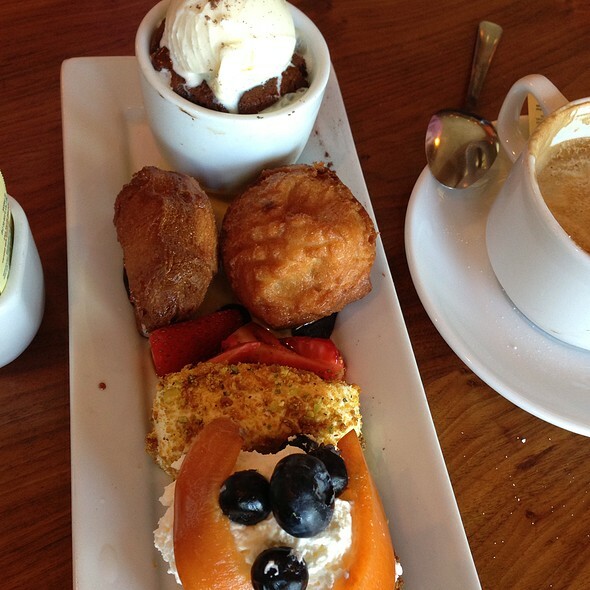 We will be offering a 3-course menu for $30 at brunch along with our a la carte menu. We will also be open for dinner, offering a 4-course tasting menu for $46 and our a la carte menu. Great food, wonderful wait staff. Felt like I was in Italy dining not just eating. My Italian husband says it’s the best pasta around. Cooked al dented and interesting sauces! We dipped into each other’s dish and enjoyed both. 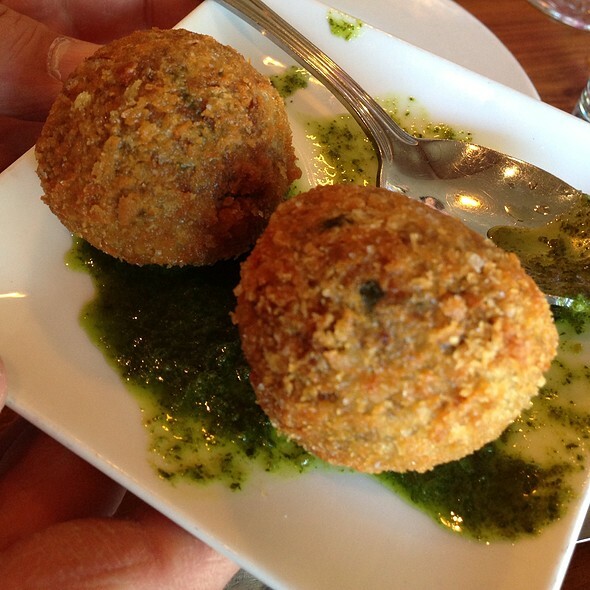 The fried olives are yummy! Too bad we didn’t have any room for dessert. Maybe next time! Love the servers there! I always enjoy the entire experience at Bellanico, especially the food. We went here for diner with friends, 4 of us. Had a reservation and the place was full on a Friday evening. The appetizers were unique and very tasty. The main dishes were great. The pork chop, braised and grilled was three inches thick and perfectly cooked. We had their wine flights and they were also very good. I would certainly go back. Went with three friends from work and had a great time. Loved the sampler but lates for appetizers and dessert. We were able to get a reservation on the same evening which is often not the case. The owner is wonderful and very accommodating. Love the food and the experience. This is a restaurant where an adult couple can have a wonderful evening of great wine and food. It is my go-to venue. Always solid. Generous portions and you have to order the doughnuts for dessert! Bellanico is my favorite restaurant. I've been eating here since they opened. This time I brought 3 members of my family. We had burrata and grilled sardines for appetizers and we loved both. I have to have the burrata every visit. Beautifully served with olive puree and an arugula salad. Then we had the perfectly roasted chicken with a yummy hash of beans, kale and mushrooms. The short ribs were so tender and delicious, served over mashed potatoes. Of course we all had the goat cheese cheesecake for dessert. You can't miss it! Amazing dinner featuring great service...highly recommend the pork chop entree...one of the best I’ve ever had....excellent evening out. We like this restaurant and it's obvious that plenty of other people do too. The food is excellent, generous and not outrageously priced. The wine list is interesting and the markup is reasonable. The fixed price, 4 course menu is a good value with more than adequate choices and is a lot of food. Servers are very well trained and do a fine job. Only complaint is that the way the restaurant is laid out the fan can direct cold air in certain areas. Hard to tell when this will happen. Grandma said "if you don't have anything nice to say don't say anything at all"
We have dined more than a dozen + times since they opened 10 years plus ago. We noticed upon arrival the owner(s) were not present. At 5:30pm with a few other scant tables filled it took us 30 minutes to get a drink. We ordered, waited, the waiter told us the wine we selected was out of stock, we ordered again---we waited and were again told our next choice was also out of stock. Finally the 3rd bottle we chose--based on our other selections and per the waiter arrived at 6pm. They should have brought us a cocktail on the house in the meantime----but no. Later when the bill arrived we were shocked. The food was not memorable, we were always waiting....the vibe was off, and the bill high due to the final wine choice---ok our fault for not asking the price. It took us 2.5 hours for this dinner. We are always in/out in 90 minutes. Again we noted that the owner(s) was not there. We have NEVER had this kind of an experience here and are unlikely to return. just wish they had a full bar......................................................but other drinks were good. Always a go to restaurant where the food is consistently very good. The prize fixed dinner is very inexpensive compared to other restaurants of the same caliber. Love taking out of town guests who want a perfect Oakland dining experience. We arrived early (5:30 pm) since the restaurant fills up quickly. We had the cauliflower fritters, and two different pasta dishes, followed by the donuts. All were excellent. Wonderful flavors. Great preparation and service. A true neighborhood gem. Let me say the food is amazing and I will go back for that! The service was pretty bad. They were not very busy. They seemed very scattered and everyone with the exception of one (whom we did not get) had a smile on her face. The server took forever to come to the table to greet us. Then took the drink order. The bartender was so slow. Then we got our drinks. Ordered food and a second drink when the food arrived and had to call her back over because she admitted she forgot the drink. This is a wine bar and brunch so you should probably expect people will order a 2nd. Had a lovely brunch here with my partner. 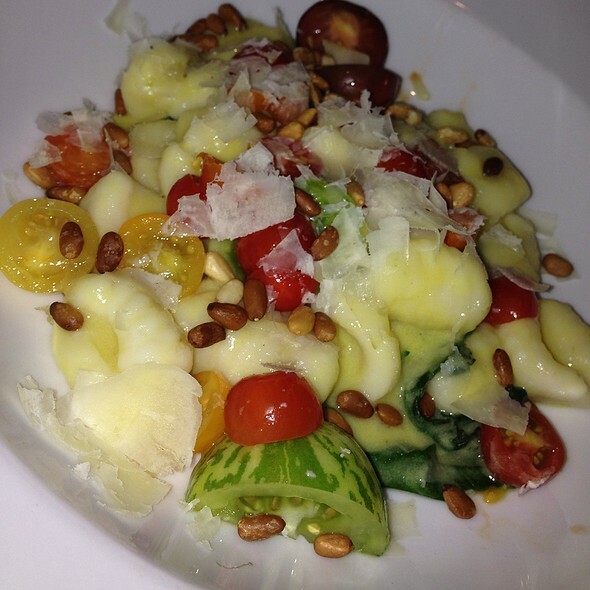 Food was excellent: fresh and interesting Italian takes on a variety of dishes. Picking a favorite restaurant is like picking a favorite movie or song, really difficult but Bellanico is my favorite. I started with the burratta, which always has a creative preparation. This time the perfect creamy cheese was served with a roasted beet and arugula salad. I dream about that dish. 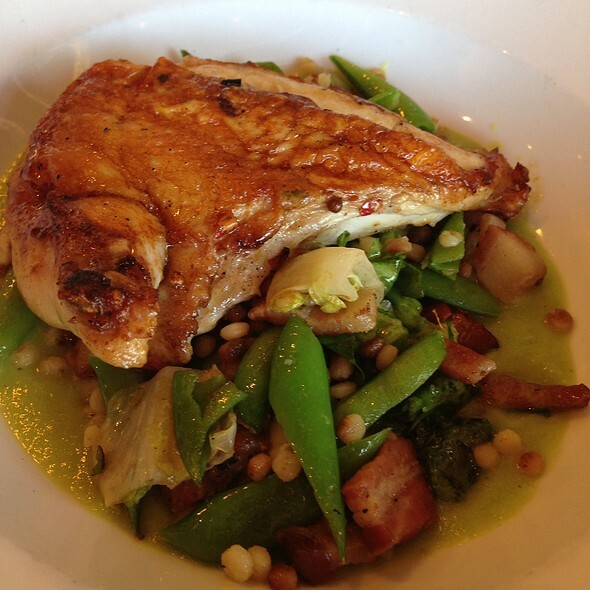 Then I had the roasted chicken breast, with a yummy bean and swiss chard hash. I had prosecco and an excellent glass of wine, chosen by the very wine knowledgeable server. We loved everything. My dining friend is disabled. The restaurant staff could not have been more accommodating to us. This time however, I thought there could be another vegetable besides the beans with the roasted chicken which was delicious! Off night for Bellanico. Service was slow and inconsistent and the food, overall, was mediocre. The pork chop special was pretty salty, without much other flavor and a bit tough. Always good. Convenient. Food was respectable. Usually expect a bit more creativity and excellent quality. I'd put it at a "B" this time. The handmade burrata is excellent! The toast that was served with the burrata was a little overdone. Overall, I loved seeing the new menu. Will definitely go back and try a few other dishes. Have always ordered the poached eggs with hen of the woods and pancetta with roasted potatoes and hollandaise sauce. It has always been a good choice. Enjoyed it immensely. Sorry I forgot to tell you I booked through Open Table. I love Bellanico and am especially grateful that, for me, it's a 'local' restaurant. The food is consistently good - and authentically Italian - and the service and ambiance always meet my sandards. Occasionally, as was the case last week, the pasta arrived a bit cold, something that can happen when dishes are prepared fresh, but not picked up quickly enough. Last week's lunch was very nice since I was meeting an old friend and was grateful to be able to heard. In the evenings, this is a loud restaurant, but that's what the owners want. I will return to Bellanico for dinner this coming week. We have been going here for years and have always enjoyed it, but the food was not very flavorful, somewhat bland. The appetizers were very good. Not sure if there is a different chef but the main courses we had were not very impressive and arrived by the time we had finished our wine. Very sweet and romantic spot with cabaret seating. A fun and varied wine list along with creative and well made meals made this a great place to go for lunch. The food & wine are always delicious! I saved a pic from a 2016 visit and they still had the wine available. We were pretty disappointed with our dinner on this visit. We had been to Bellanico twice before and loved the food. It was great! We came back this time for a birthday dinner and we were telling our friends how great the food was here. I'm not sure what happened this time, but the food wasn't as good as previous visits. Not even close. We will go back again; maybe the chef was having a difficult night, but we left sadly feeling dissatisfied. We had our Valentine’s dinner here without knowing there was a fixed price menu. I was disappointed at first but totally changed my mind. Each course was interesting and delicious. The white wine recommended was sublime. We took home leftovers and enjoyed them as much later. Delicious and adventurous prix fixe menu for Valentine's Day. Good value, the starters and first course were so yummy. Only complaint: the veggie risotto was bland. But all the rest, including the red wine flight, were terrific. The food at Bellanico is always good. This week I had the porkchop (super juicy and flavorful). I didn't think about how noisy it is and how close you're sitting to other people when I decided to book it for Valentine's Day dinner. I probably won't do that again. But food and service are excellent! The beans were under-cooked, and hard to digest. Otherwise, good food at a price. So disappointed. We ordered the testing menu with wine pairing. It we brought to our table without any explanation or identification of the wines. Just slapped on the table like we were at a diner. The main course was inedible. In fact, we could see due to the open kitchen that the chef was having issues with the pork chop. It came to our table anyway and was inedible. Tough, uncooked.....Just bad. With half a bite taken only, the wait staff took it away with our displeasure expressed. They offered no comment and expressed no concern. We passed on dessert, got charged full price (not cheap) and promptly departed never to return. 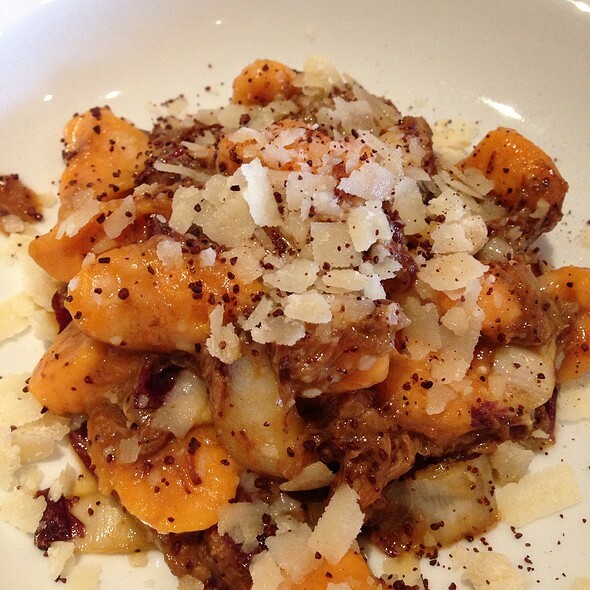 Bellanico is one of our favorite restaurants and still remains on our list. 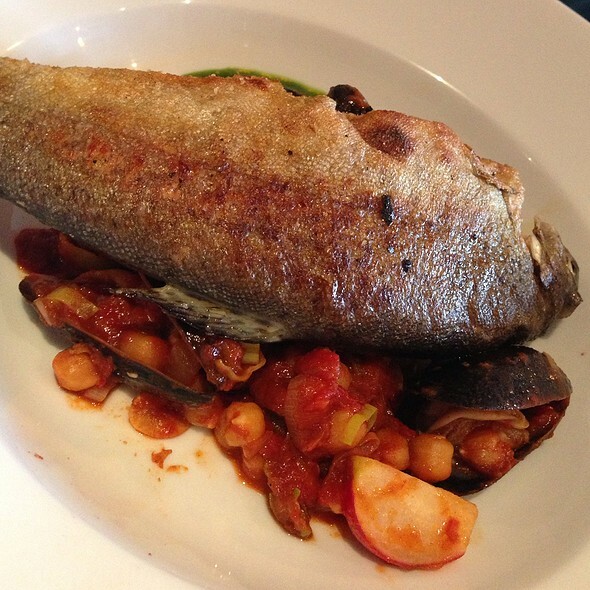 The food is lovely and the service great; the wine list is extensive and we can hear our conversations. It's a comfortable place for a meal that does not disappoint and often delights. We'll continue to be your happy clients!